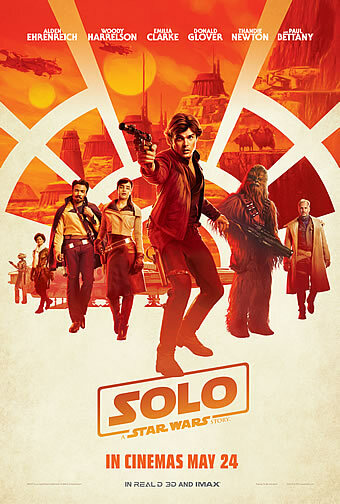 Synopsis: Board the Millennium Falcon and journey to a galaxy far, far away in Solo: A Star Wars Story, an all-new adventure with the most beloved scoundrel in the galaxy. Through a series of daring escapades deep within a dark and dangerous criminal underworld, Han Solo befriends his mighty future copilot Chewbacca and meets the notorious gambler Lando Calrissian, in a journey that will set the course of one of the Star Wars sagas most unlikely heroes. Despite being one of the most enigmatic characters in the ‘Star Wars’ universe, we’re not quite sure anyone was looking forward to seeing a origin story on the beloved space scoundrel Hans Solo. And yet following a very publicly-known troubled production that saw a change in directors, here we are with the second so-called ‘anthology’ title of the Disney-driven blockbuster juggernaut. Quite frankly, as much as it is inessential, we’re happy to report that Ron Howard’s ‘Solo: A Star Wars Story’ is nonetheless a delightfully escapist action adventure. 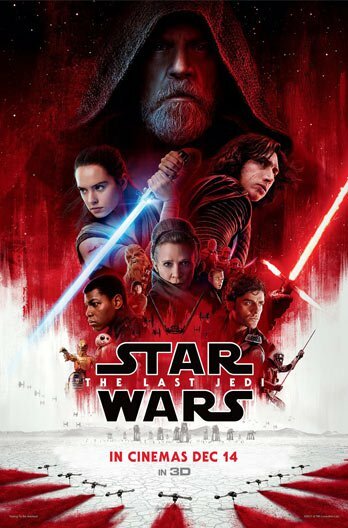 It stands on its own as a fast-paced heist movie with a bunch of crooks aiming to pull a job, but yet contains just enough references to the larger ‘Star Wars’ canon to satisfy fans looking for consistency, coherence and continuity with their character favourites. 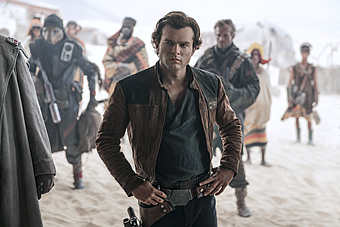 As conceived by franchise stalwart Lawrence Kasdan and his son Jonathan, the young Han (Alden Ehrenreich) starts off as a street-smart delinquent on a rough child-slave planet called Corellia, where he dreams of a better future with his girlfriend Qi’ra (Emilia Clarke). But a hasty attempt to flee separates Han and Qi’ra, and the former makes it his mission to get a spaceship and rescue Qi’ra from that awful place. That journey will take him from the trenches of the war-torn mud planet Mimban, to the company of a band of marauders led by career criminal Tobias Beckett (Woody Harrelson) and their nasty gangster employer Dryden Vos (Paul Bettany), and last but not least to the very beginnings of a rebellion against the colonising forces of the Imperial Empire sweeping the galaxy. 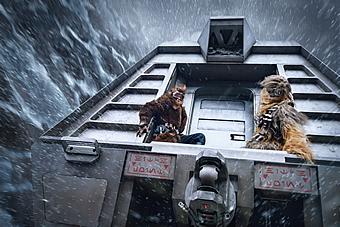 Along the way, it answers the question of how Han met his loyal pal Chewbacca (Joonas Suotamo), comes to pilot and later on own his flagship Millennium Falcon, and even venture upon the famed Kessel Run. It’s inevitable that some of these developments feel reverse-engineered, but to their credit, the father-son screenwriting duo keep the story lively and slick enough without being burdened by or be wallowing in nostalgia. 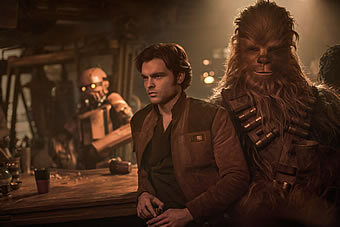 Like we said earlier, this is by and large a heist movie, so most of the action revolves around Han teaming up with Beckett to steal a lucrative type of fuel known as coaxial, which is not only the basis of Han and Chewbacca’s companionship but also that of Han and original Falcon owner Lando Calrissian’s (Donald Glover) acquaintance. These key moments are established amidst a thrilling raid of a fast-moving train speeding along the wintry hills of an icy planet, an exhilarating robbery within the caverns of the dusty mining planet of Kessel, and a remote desert standoff in between a series of double-crosses, triple-crosses and other duplicities. Each one of these is in itself a fine action sequence, and ever the venerable pro, Howard never lets the pace slack from start to finish. 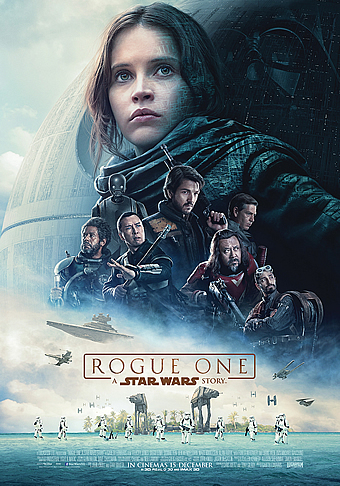 But what distinguishes his entry from the other recent ‘Star Wars’ movies, including and especially the very first spinoff ‘Rogue One’, is its unabashed sense of breeziness. That is in part an indelible quality of its titular character Han, but also a deliberate creative decision that chooses humour over despair, gloom and sombreness. 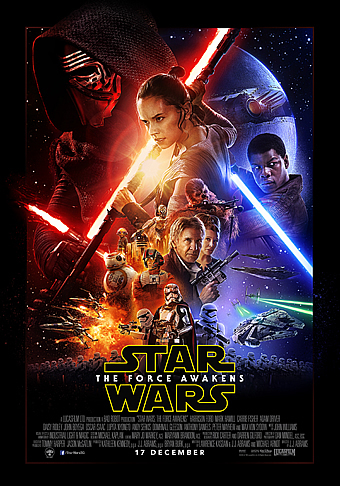 The operative word here is fun, and that running trait defines the tenor of Han and Chewbacca’s banter, as it does the dynamic between Beckett and his crew Val (Thandie Newton) and the four-armed chimp-like Rio Durant (voiced by Jon Favreau), as it does the back-and-forth between Han and Lando, and even the quirky new supporting character of Lando’s whip-smart female droid L3-37 (voiced by Phoebe Waller-Bridge). Whereas the other films were concerned about the fate of the universe, Han’s primary preoccupation here is staying alive while redeeming the love of his life, which is a marked but altogether welcome contrast. It is in this vein that the ensemble cast shine in their own right, despite some having big shoes to fill. Notwithstanding the revered legacy of Harrison Ford, Ehrenreich brings the swagger, derring-do, and sigh-guy handsomeness to Han, and it is quite a joy watching him channel Ford’s brash enthusiasm without any middle-age contempt. 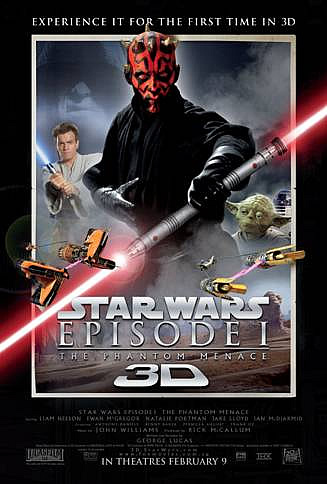 Harrelson completely owns every single scene he’s in with his mix of mischief and jadedness; former Penn State player Suotamo brings genuine emotion to Chewbacca; and Glover effortlessly carries his predecessor Billy Dee Williams’ suave, cape-wearing charm. Perhaps the most intriguing character relationship here is that between Lando and L3-37, who spar repeatedly over the latter’s fierce determination to free her fellow machines of their servitude, thus unleashing some sort of Gremlin-like mayhem on Kessel. On hindsight, that ‘Solo: A Star Wars Story’ had much less fan baggage is one of the fundamental reasons why it has managed to distinguish itself as no more and no less than a solidly entertaining rollicking action adventure. 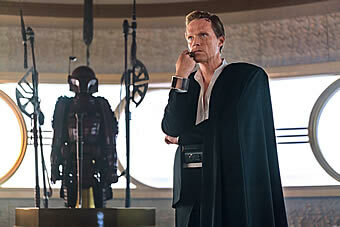 Sure, it has to pay its dues to the ‘Star Wars’ brand, which it does dutifully though in ways occasionally clumsy (don’t ask just how Solo got his name) and surprising (a late appearance by a certain member of the Sith will certainly get fans talking). 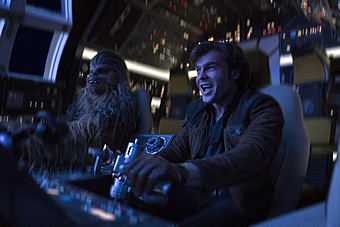 Yet with humour, exuberance and thrill, ‘Solo’ turns itself from a movie you never asked for into one you’d enjoy with unbridled glee, and for that reason, will certainly resonate with those who grew up with the original trilogy as well as kids who are just about discovering the franchise. It may have gone a little Solo from its extended family, but this fun, kinetic romp is all the better for it.